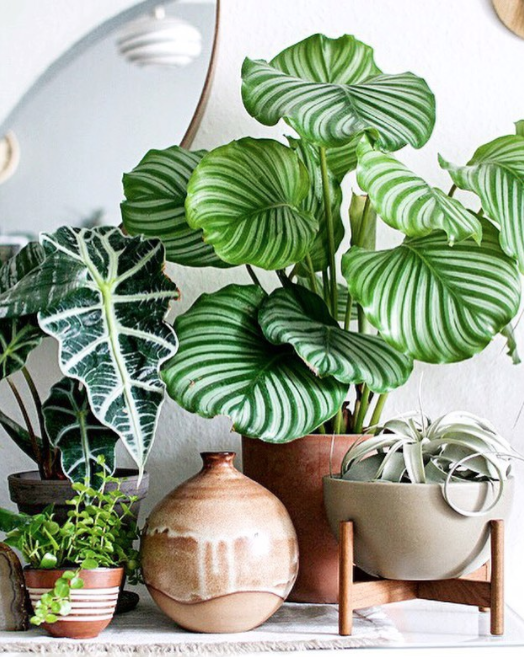 There’s no denying the love of indoor plants just keeps gaining momentum! Like fashion though, indoor plants also go through trends. 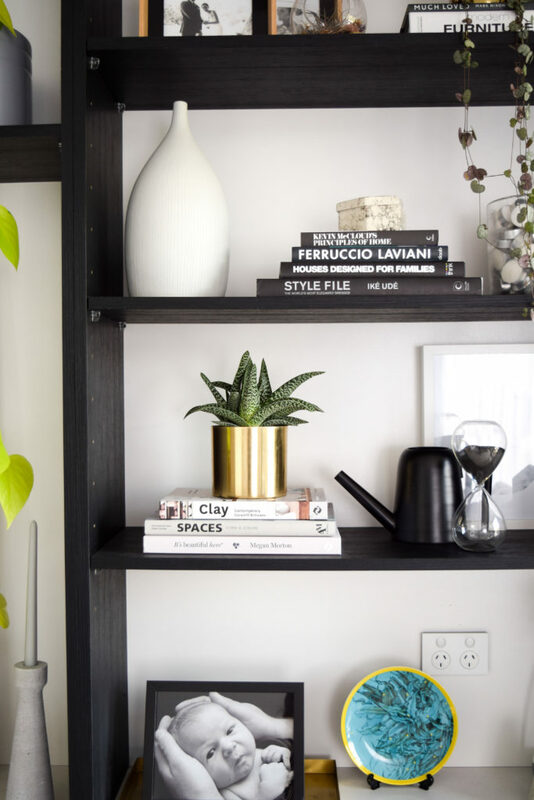 So let’s check out what indoor plants are trending now and where you should use them in the home (plus a little plant care to help those of us with a black thumb!). More commonly known as the ‘Swiss cheese plant’, the deep green waxy leaves of this luscious plant make it a bit of a Queen in the indoor plant world. If you want to create a botanical or jungle vibe in your home, then this plant is a must. Place it in a pot that offers good drainage and amp up the jungle look by placing the pot in a large woven basket. Tip: This low maintenance plant is suitable for any room of the home, provided it’s out of direct sunlight. Only needs weekly watering. This dainty little plant has emerged as a new, firm favourite in the urban jungle world. Trouble is, it’s very sensitive and easy to kill — we should know having just killed ours! The main cause of death is either over-watering (guilty!) or placing in direct sunlight. To avoid this, place the Pilea in a terracotta pot or one that drains well. Also look at using cactus soil rather than regular potting mix. 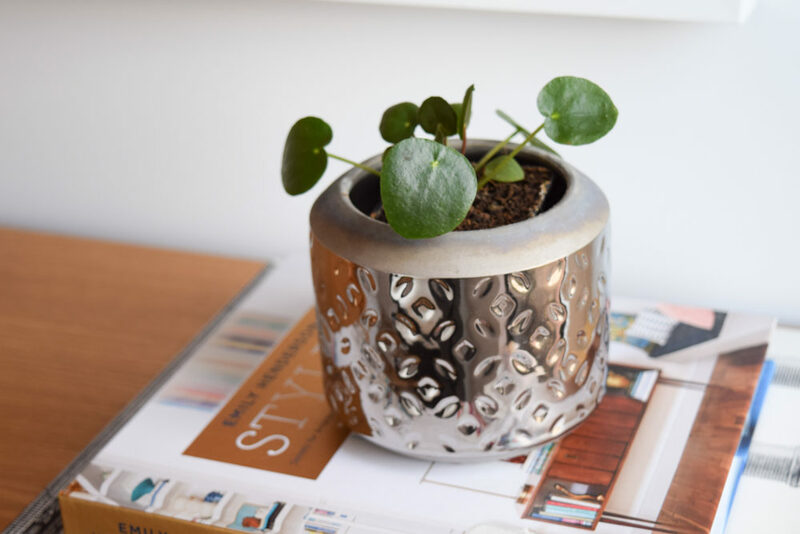 The unusual shape and leaves of the Pilea makes it a great accent plant to use on shelf styling, sideboard or windowsill. It also looks great in a hanging planter. Tip: Place in a room with plenty of natural light but keep out of direct sunlight. Only needs a small amount of weekly watering. 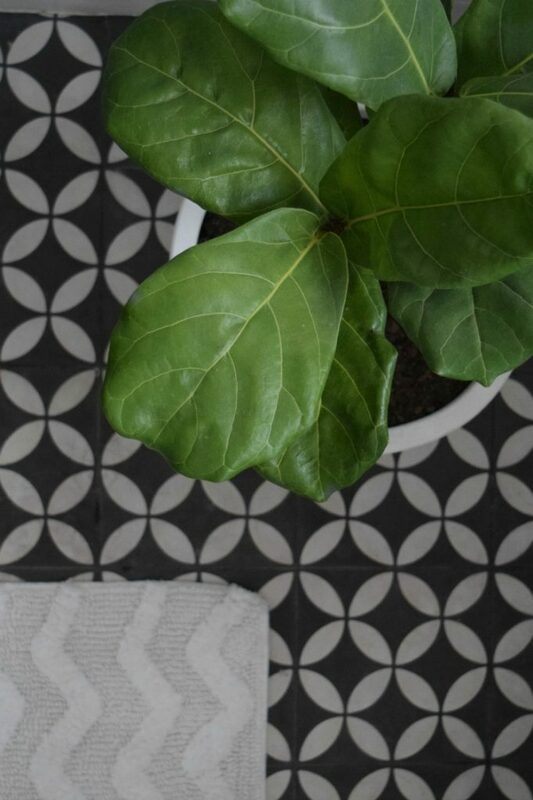 The ‘Rubber plant’ as it’s commonly known stands out for it’s dark green waxy leaves with hints of red. It looks great on its own or clustered amongst other plants. Tip: Keep the leaves looking shiny and waxy by dusting them once a week with a damp cloth. Place in a room with plenty of natural light but keep out of direct sunlight. Only needs a small amount of weekly watering. Also known as the ‘Prayer plant’, this lush plant stems from the Amazon jungle and is a striking addition to any bathroom. Just check out those stripy leaves! 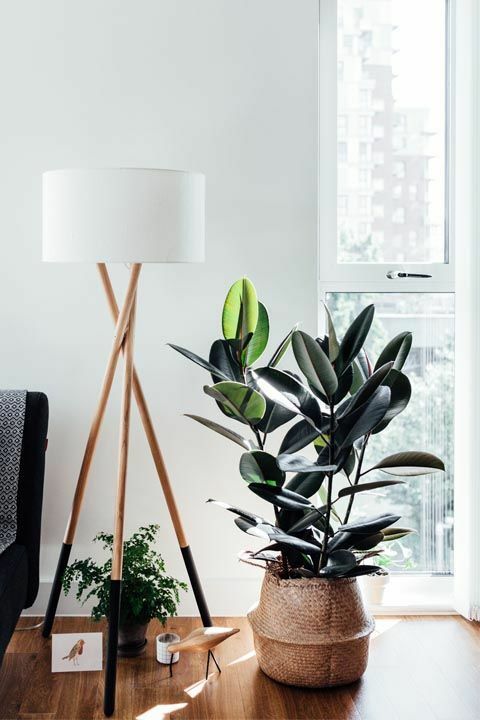 You could also position the plant in any other shaded or semi-shaded areas of your home such as the hallway or a south-facing bedroom — just be aware the sound of the leaves unfolding may give you a fright in the evening or early morning! Tip: This plant likes an environment that resembles a tropical rainforest so think warm, humid but not direct sunlight. Water generously twice a week during warmer months and mist the leaves frequently. There are around 350 types of aloe in the Aloaceae family — ranging in colour, leaf shape and size, pattern, and overall plant size too. Aloe vera is one of the easiest house plants ever though and is said to have great healing properties. 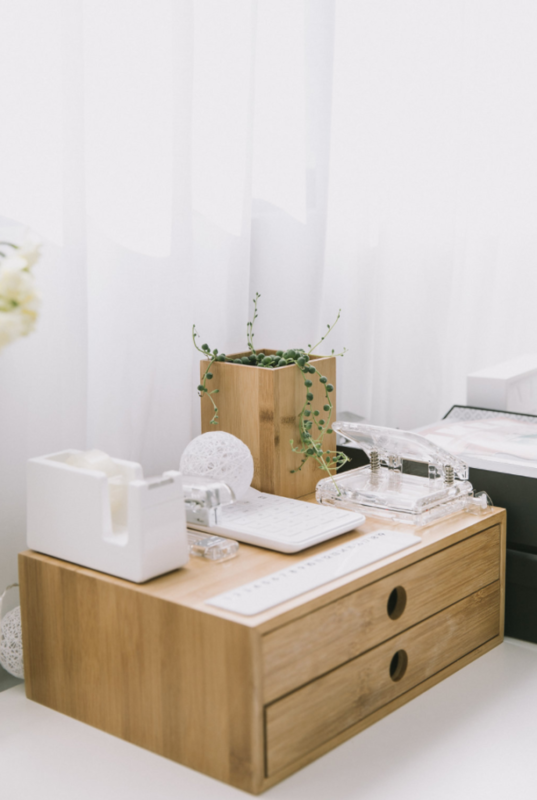 The gel of the leaves can be used to treat wounds and burns, or simply having them in your home improves air quality and can help with insomnia too. Tip: Give this plant as much direct sunlight as possible and plant in a pot with good drainage. If you want your aloe plant to bloom, fertilise at least monthly and remove any baby plants so it can put its energy into making flowers. Perfect for a hanging planter, or to creep along a shelf or mantel, ‘String of hearts’ is an incredibly pretty plant with leaves like petals. It will create white balls at the root of the plant that can be removed and planted in new pots to create additional plants. Tip: This plant needs a fast draining soil otherwise roots will rot. Water sparingly when the plant shows signs of needing water. 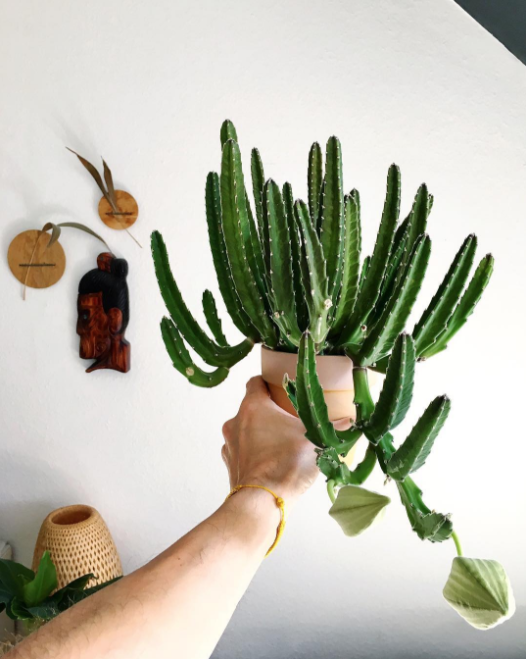 A succulent with serious personality, the cactus-like leaves of this plant are statement enough… but if you’re lucky it will also bloom, like Igor’s plant below is doing for the second time this year! These plants can be a little more challenging to grow and do require fertilising, especially if you want it to flower, so probably not the best choice for beginners. Tip: Water moderately and allow soil to dry out before watering again during warmer months and do not water during winter. Commonly known as the ‘Coral’ plant, this low-maintenance and highly sculptural plant is a definite favourite. A great idea to use this plant is to create a ‘coral reef garden’ using a range of succulents with different colours, shapes and sizes. Think low level Echeverias, taller Jade plant or Snake plant, a few orb-shaped cacti too… you can really get creative here! Tip: This plant loves lots of natural sunlight but limit the amount of direct sunlight. Water moderately when soil is dry. ‘Chain of pearls’ are a super cute creeping succulent vine that look incredible in hanging planters. The vines of a larger plant can simply be snapped off and potted to create child plants, so you can propagate a large plant easily. Tip: Avoid root rot by placing in a pot that offers good drainage and don’t over water. If you’re questioning whether to water the plant or not, don’t! And use succulent or cactus soil. 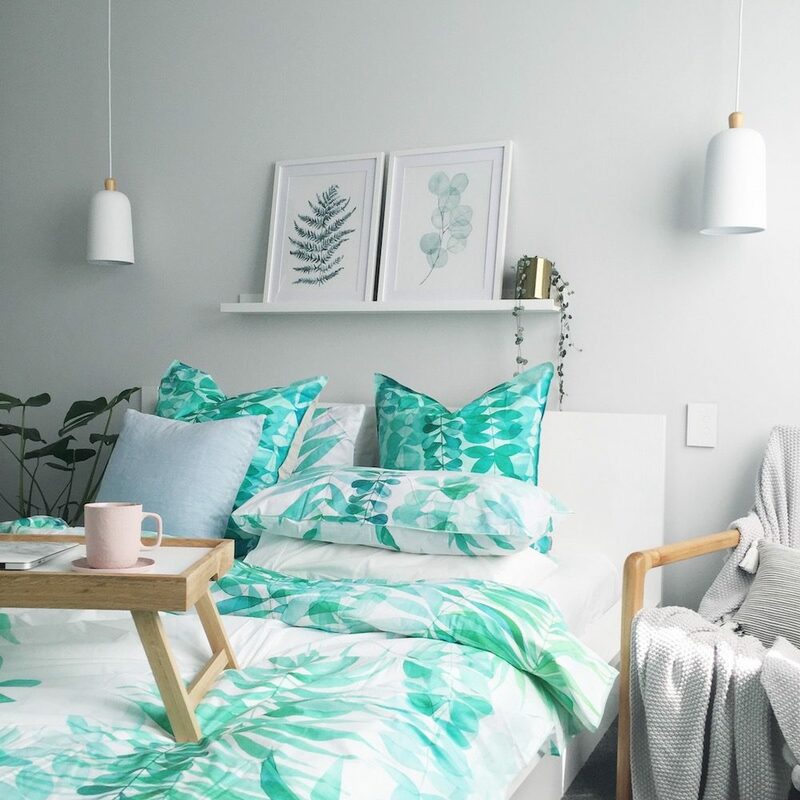 The ‘Fiddle Leaf Fig’ has been a trending indoor plant for a little while now, and while some people will say it’s ‘out’… can you really un-love such a beautiful indoor plant? We think not! Position this statement plant anywhere it can be the hero of a room, such as near doorways, hallways and fireplaces. This plant is another tricky one to keep alive though so not the best choice for beginners. 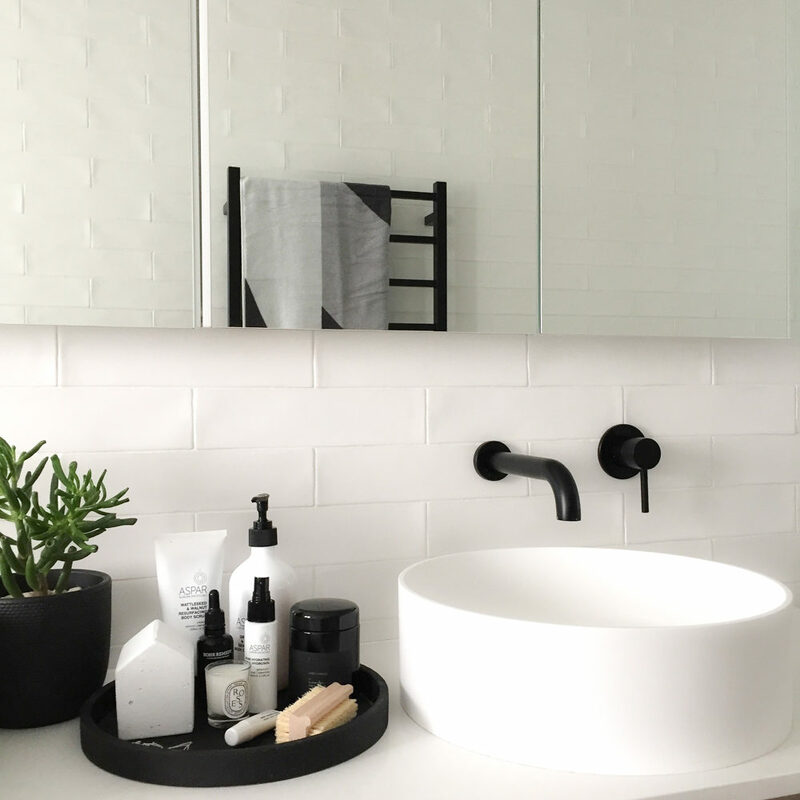 If the leaves of your plant become brown and curled, try giving it some time out in your bathroom — it’ll love the humidity and diffused light while it recovers. Tip: While this plant loves natural light, it cannot tolerate direct sunlight. Water when soil is dry to touch but reduce watering during winter months. What’s your favourite indoor plant right now? Tell us in the comments below! 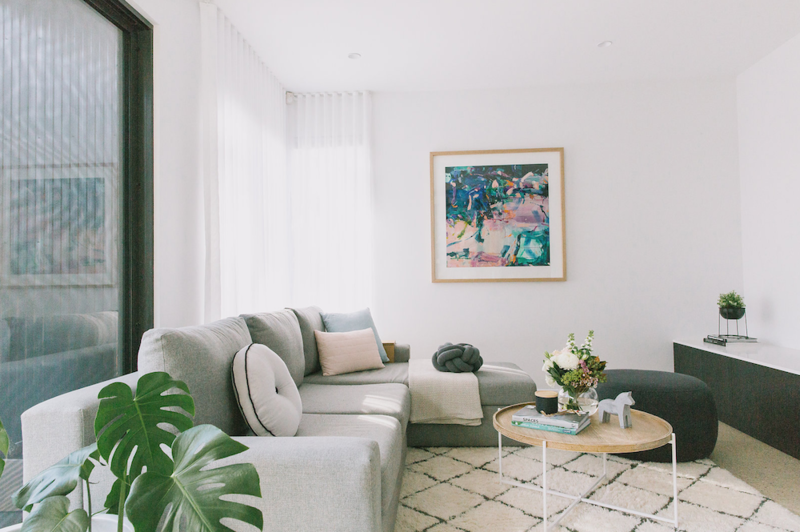 You might also like to check out this article with our favourite ways to display indoor plants. 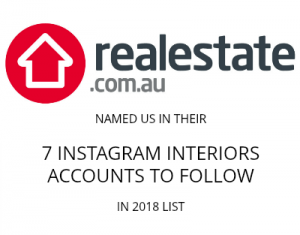 Great list Gina, some new ones on there I hadn’t considered. I also like ferns (all kinds! ), pythos and the watermelon peperomia. I loooove ferms too Kamila but I cannot keep them alive no matter what I do 🙁 Any fern plant care tips you can share, please hit me!